Mick Leggett will be our keynote speaker at this year’s ICCM-Europe conference. He has worked in the fields of Information Technology and Missions for over thirty-five years undertaking roles as diverse as programmer and church planter and a whole host inbetween. He and his wife Heather went onto the mission field in Belgium after only being married for 2 months, returning to their homeland of England in 1988. Mick then worked as an IT Management Consultant for one of the large international consulting firms primarily working in hands-on roles and often within the MoD. 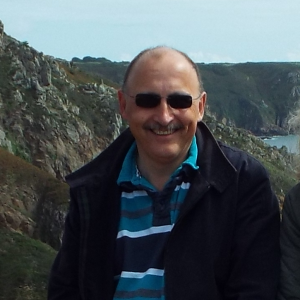 He has been connected with the ICCM community since 2002 when he took on the role of Regional IT Manager for Reach Beyond having completed a missions focussed degree in Theology at Redcliffe College, Gloucester in 2001. Recognising the immense value to technical missionaries and missions of ICCM in the United States, Mick was involved in ICCM Asia in 2006 and was also one of the catalysts behind the start of ICCM Europe in 2008. Today he and Heather live on the small Island of Guernsey, one of the Channel Islands. They have been married for thirty two years and have two grown up children who still live in England. In 2015 Mick was ordained and is a Senior Minister in the Elim Pentecostal Church and that is now his primary role, although he maintains his avid interest in technology and missions.